Several of you have been kind enough to ask about the progress of my World War II novel, tentatively named Wild Blue Yonder. I’m happy to say that it’s alive and well. Some brave focus group readers took on the task of reading and commenting on the first draft. I then made a few changes, and sent it on to my talented freelance editor this summer. I’ll tell you more about her when she’s finished. In the meantime, the research bug found me again. I’ve begun researching my next World War II novel. This journey has already thrown fun twists and turns, and I can’t wait to tell you more in the near future. Once I get my editor’s suggestions, I’ll launch into a rewrite – believe me, it needs it! Then I’ll begin submitting it to agents. If/when I’m fortunate to get an agent, he or she will sent it to publishers in hopes of a contract. Whew! I know: It’s a long process. And I’m enjoying every bit of it. This past weekend, I breezed through Sweetwater, Texas, and got to visit the good folks at The National WASP WWII Museum. I love spending time there. It’s a great reminder of what this novel is all about. 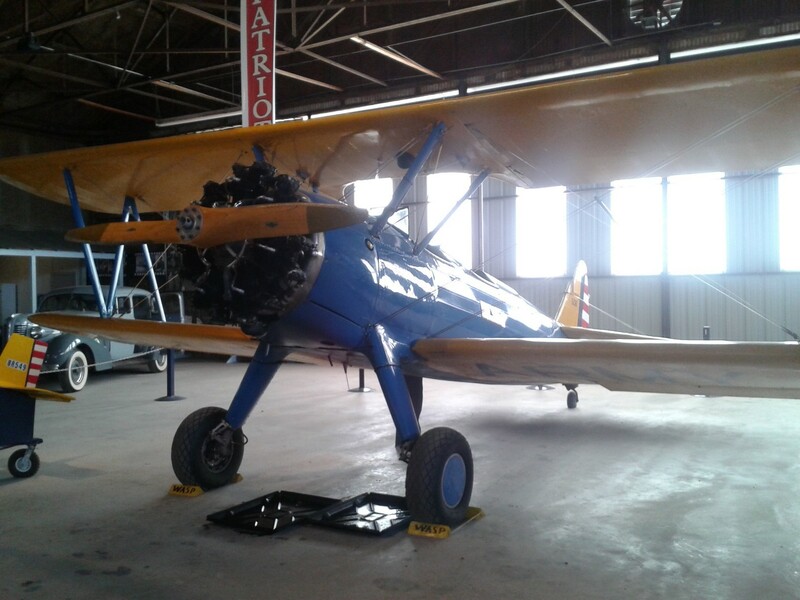 I’ll leave you with a photo of their in-house Stearman biplane, very similar to one near and dear to the heart of my main character, Josie.